There is so much gameplay I have not tried yet, but am determined to spend at least 2 hours each day actually playing the game. 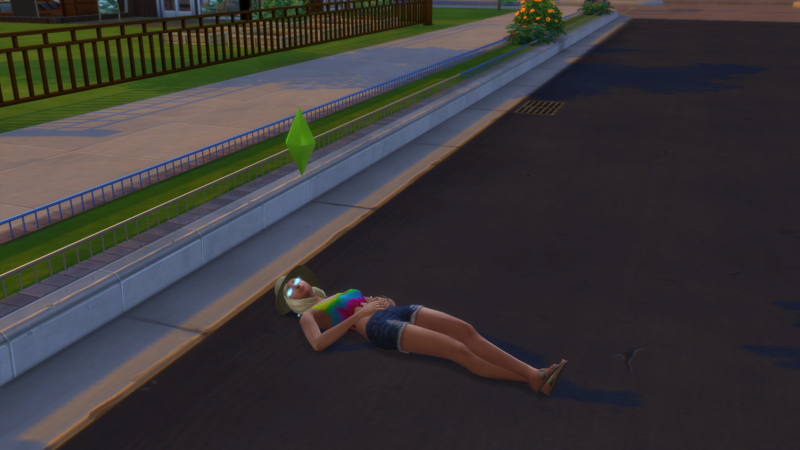 My sim, Skye Lift, was at Granite Falls fishing when she got struck by lightning. 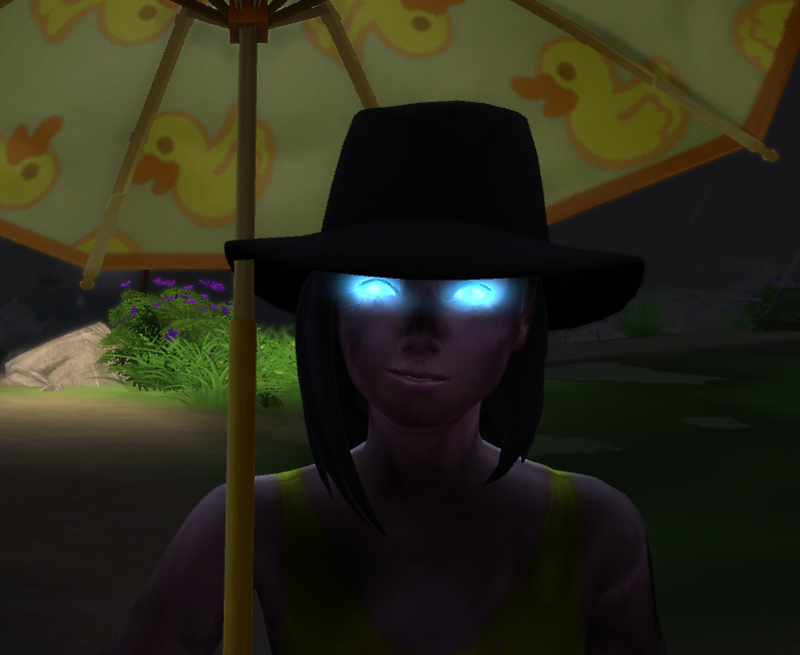 Well, she really wanted to catch some more salmon so she stayed put and kept fishing...and got hit by lightning again! Then she went for a jog. That's when I noticed her eyes. That's freaky! Is she still like that?? No, it went back to normal after a few sim hours. I researched after posting the pics here and discovered I was very fortunate that she was not killed. So no more going outside during thunderstorms for her!